​Liverpool youngster Ben Woodburn appears set to leave the club on loan this season and join Championship side Sheffield United where it is hoped he will gain crucial first team experience. 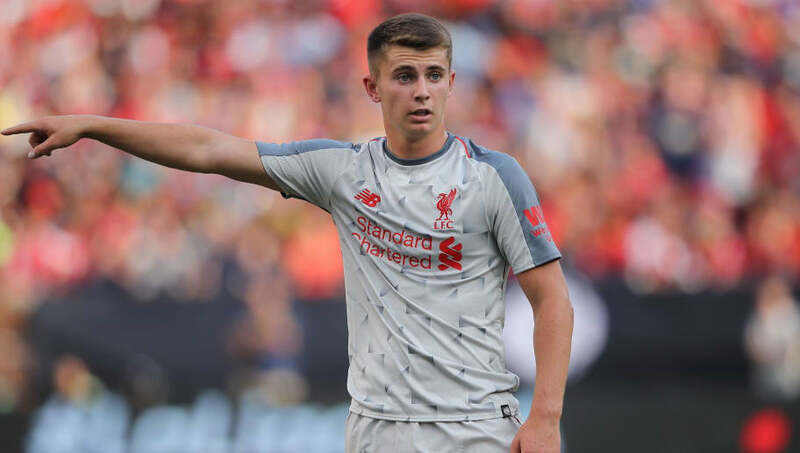 In the Liverpool academy from an early age, a 16-year-old Woodburn was involved in pre-season ahead of the 2016/17 campaign and eventually went on to play nine competitive games in all competitions in the months that followed. Chances were more difficult to come by last season, with the youngster playing only twice. Now, at the age of 18, player regular first team football is becoming more important. Woodburn had been tipped earlier this week to head to Aston Villa after reportedly being withdrawn from a Liverpool training camp heading to France. Sheffield United had already shown interest, while Wigan were another rumoured suitor, but it appears that the Blades have won the race to land the coveted teenage talent. Times journalist Paul Joyce ​noted on Twitter that Woodburn is 'poised for Sheffield United loan move'. Dominic King from the Daily Mail has said similar, while the Daily Telegraph's John Percy has gone a step further by revealing that a medical is booked in. Having returned to the ​Championship from a six-year spell in League One, Sheffield United were in playoff contention for much of last season as they looked to earn back-to-back promotions, only for a slump after January resulting in the team ultimately finishing 10th. This season they are once more fancied to be in the mix for promotion to make it into the ​Premier League for only the second time since 1994.